Our slimline standard pocket remote control with a approximate 10 Meter Range, 4 brightness settings, a timer function and flicker rate options. Our standard pocket remote control has a approximate range of 10 meters in low light conditions, and of 1 meter in bright sunlight conditions. 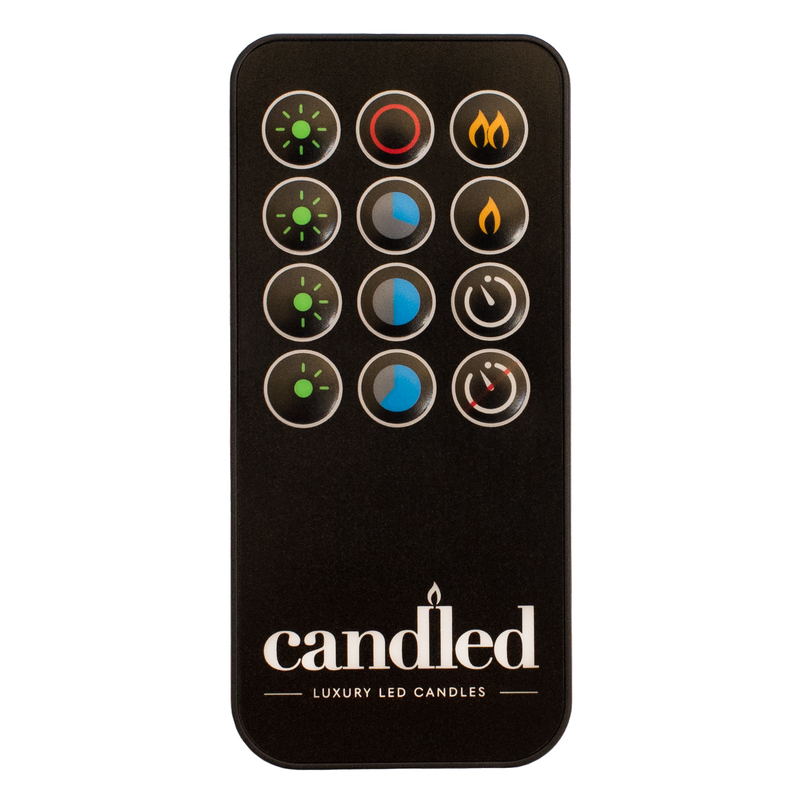 One remote control can operate up to as many candles as you want. The remote control works using infra-red and therefore is directional, Just like the remote for your TV. 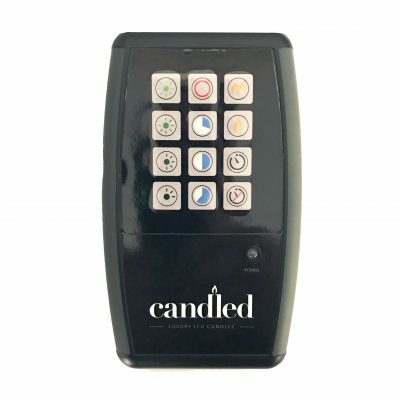 Our remote control will turn a quantity of our LED candles on together. FEATURES INCLUDE: Select 1 of the 4 brightness settings and 1 of the 2 flicker rates of your LED candles to suit any mood or location. 1) Choose to turn your candles ON at anytime for for the 4,6 or 8 hour period and it will turn itself off when the selected time is up. This enables the candles to automatically switch on and off at the 4, 6 or 8 hr time each day at the time you want your candles to be on within a 24hr period until the batteries drain or you cancel the timer mode button. Remote control with 12 buttons 38KHz 940nm IR LED. Runs on a single CR2025 3v lithium coin cell (included).